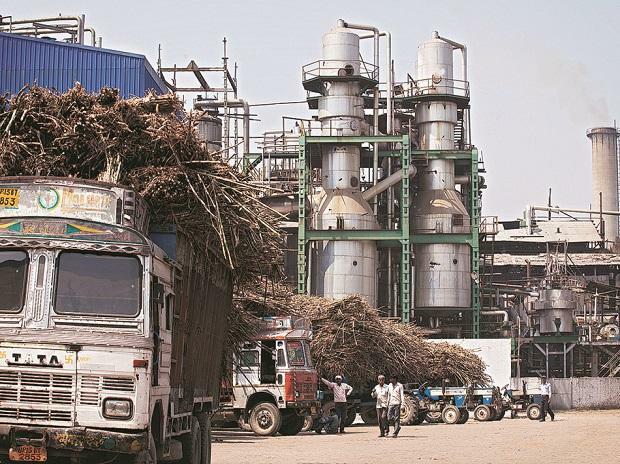 The government Thursday announced a soft loan of up to Rs 10,540 crore to the sugar industry to help mills clear mounting arrears to cane growers, a move that would cost exchequer up to Rs 1,054 crore as interest subsidy. Sugar cane arrears to farmers have crossed Rs 20,000 crore in the current marketing year 2018-19 (October-September). "To help the sugar industry clear its cane dues arrears, the Cabinet Committee on Economic Affairs (CCEA) chaired by Prime Minister today (Thursday) approved the proposal to provide soft loans to the extent of about Rs 7,900-10,540 crore to the sugar industry," an official statement said. The Centre will bear the interest subvention cost at the rate of 7-10 per cent to the extent of Rs 553 crore to Rs 1,054 crore for one year. "Surplus production is also estimated in the current sugar season 2018-19 which has affected the liquidity position of sugar mills resulting in building up of cane price arrears of farmers which has reached to the level of Rs 20,159 crore as on February 22, 2019," the statement said. To ensure that farmers are paid their dues expeditiously, the Centre has asked banks to seek bank account details of cane growers from mill owners, so that amount is paid directly to farmers. "In order to incentivize the mills to clear their dues, CCEA has also decided that the approved soft loans will be provided to those units which have already cleared at least 25 per cent of their outstanding dues in the sugar season 2018-19," the statement said. The decision to provide soft loans comes a fortnight after the Centre raised benchmark selling price of sugar at factory gate by Rs 2 to Rs 31 per kg. Although sugar production is estimated to decline to 307 lakh tonnes in the 2018-19 marketing year (October-September) from record 325 lakh tonnes in the previous year, the output will be much higher than annual domestic consumption of 260 lakh tonnes. Moreover, mills had an opening stock of about 100 lakh tonnes of stock from previous year's production. In last one-and-a-half years, the central government has taken a number of measures to bail out sugar mills as well as cane farmers. The steps include doubling of the import duty on sugar to 100 per cent and scrapping of the export duty. In June last year, the government announced a Rs 8,500 crore package for the industry, which included soft loans of Rs 4,440 crore to mills for creating ethanol capacity. It is bearing an interest subvention of Rs 1,332 crore for this. An assistance of Rs 5.50 per quintal of cane crushed was announced, amounting to Rs 1,540 crore to mills, for 2017-18. This has been raised to Rs 13.88 per quintal for 2018-19, costing over Rs 4,100 crore to the exchequer. Around Rs 1,200 crore was allocated for the creation of 30 lakh tonnes of buffer stock of sugar. That apart, the Centre is providing assistance worth Rs 1,375 crore to mills by compensating expenditure towards internal transport, freight, handling and other charges to facilitate 50 lakh tonnes export during the 2018-19 marketing year.